Many movies and even anime play on the topic of Time traveling and Dragonball include time traveling in the middle of the series. How they travel? By a Time Machine. 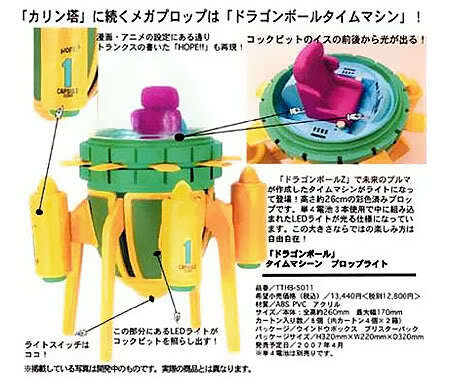 * Picture from DragonBall Z megahouse Capsule neo part 16 time machine special. You really have to give credit to the genius Bulma for creating the time machine which is more advance than any Alien technology in the galaxy and I doubt the Shenglong can grant time traveling wishes too. As fan may know it, Trunks travel back in time to ask for help from the Z fighters to battle the Android (17 and 18) which in his time line causing rampage on earth. Trunks came back to pass Goku a cure for his heart attack to attempt changing the course of the future. 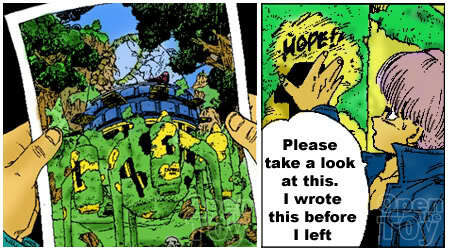 Trunks personally handwritten the word "Hope" on the time machine in hope that travel back to the past to change his future. His action however causes a butterfly effect and Cell came into the picture. 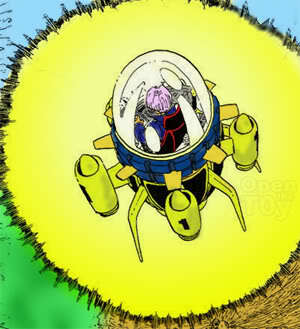 Cell in the future ambush and kill Trunks taking the time machine to travel back in time to complete his prefect form by adsorbing with Android 17 and 18. Cell after obtaining his prefect form challenge the Z fighters mainly Goku. The rest is history. The design of the Time Machine is simple. It take off as a rocket and half way lifting, it will start to teleport. It is a good thing the author stop there and there for time traveling before it get more messy. Too much Time traveling is not good for the story. 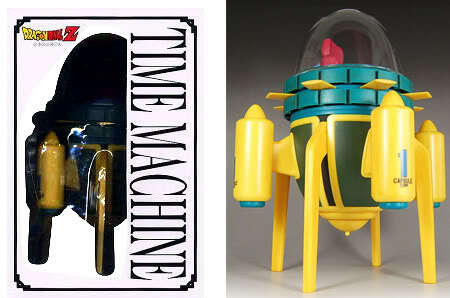 As for the toys, Time Machine did make some appearance. One of the deluxe one is from Taki Corporation. 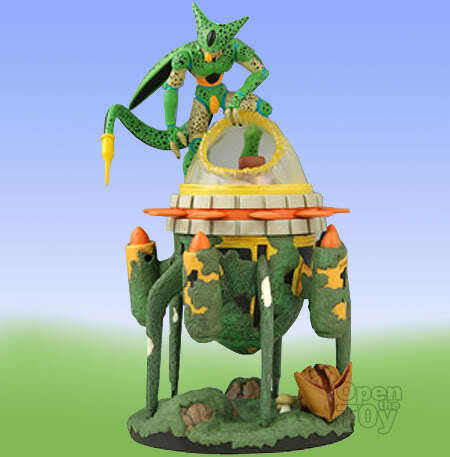 This Dragon Ball Z Time Machine comes with Prop Light towering about 26cm. 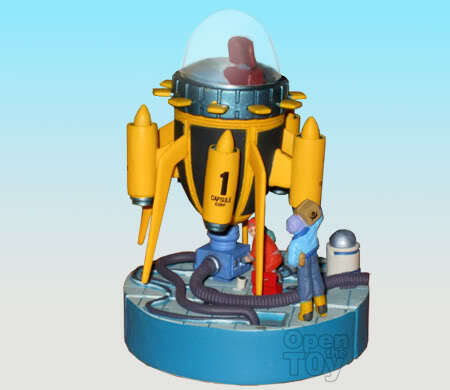 The cockpit and bottom half of the time machine can be lighten up with 3 AAA batteries. Personally I do like the idea of time traveling but not with the consequences of the butterfly effect. The first time I saw Cell initial form, I don't like it. Although he have all the cell of the Z fighters, he look really creepy but when he adsorbed android 17 and 18 into prefect form, he look way better. I love the mini prefect cell too. They are cute! Cell is really irritating and nasty killing my favourite No. 16. Ahhhhhh!!!! when he is in his original form he is irritating but when in perfect form was alright. yes I pity android 16 but his death push Gohan to give his 100% on Cell.